Tom Wants to Come To Your Town! $175 per event, plus travel and accommodations. Discounts for multiple events and sites (book tour). Check out what a Forum looks like in your town. Tom is very flexible and can speak, train, lead, and curate a special event of any size for your group. And he can do it at a reasonable rate. 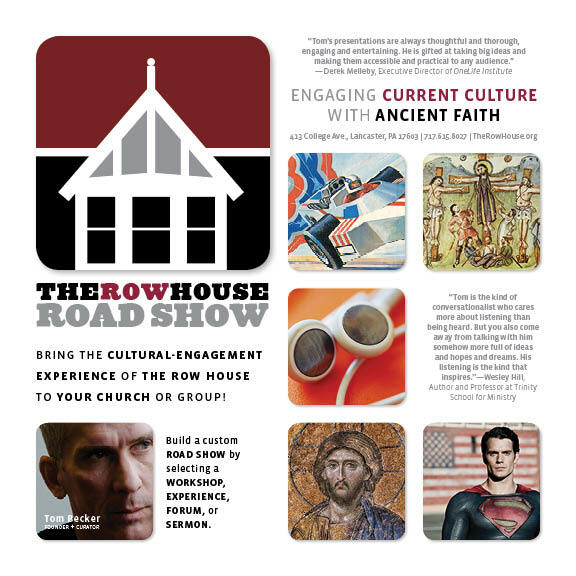 Contact him to discuss the possibilities: tom@therowhouse.org.